Well, this is incredibly odd. A Reddit user by the name of chico24 recently purchased a physical copy of Sid Meier's Civilization VI on the Switch and found half a game card inside their case. There's no information about how this loose chip got inside the case in the first place, but it's safe to say it shouldn't be in there. It's also unknown if it actually works or what it could potentially contain if anyone was able to get it up and running. Maybe it's the first half of the game. We're also left wondering what has happened to the top section of the card. What if there's another Switch owner out there who opened up their new copy of Civilization VI and found this other half? We can only hope the factory that packaged this game sees this news doing the rounds and tightens up its production line so it doesn't happen again. Have you ever found anything weird in one of your game cases? What do you think is on this chip? Tell us down in the comments. I have bought dvds, games, etc that were missing things but not any that had extra. Mostly furniture with extra screws. I bet someone could 3D print a shell for it to see if it works or not. 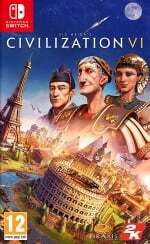 Its the demo for the upcoming civilization. I got a copy of R-Type for the Snes at Toys R Us many years ago and the whole chip board was missing. It was an empty shell. I was worried they wouldn't believe me when I took it back that it came that way. Seen it before, it's just an extra connector for the cartridge you can use in case the old one worn out. It has the original version of Mario 64 with Luigi unlocked, and a video with the true method to find the unicorn fountain in Ocarina of Time. Did they take it back? @SamusLv7 I had to drop everything important and hastened to make a comment on such a scandalous incident! Never in my life have I heard of such misconduct! For shame!! Thanks NL for reporting on this. Now You're Playing With Half The Power!!! I once bought some eggs that had 2 yolks, do I win a prize? It looks like they are including the dlc. This is probably just the contact part. Game data is in the upper plastic part of the cardridge. I thought these cartridges were very expensive... And now they're just handing out extra pieces with your purchase. *This is a fictional story, as it cannot have happened yet. Won't ever happen because I know in advance that would be the (empty) case. The story IS however based on true events taking place as we speak, unfolding to a very near, very dystopian future. Happened more than a few times in the past few years I opened up the case and there was no manual. The contacts on the loose chip seems to have rough edges and with almost no space between them. Half price = Half cartridge ?? @LemonSlice you too? I thought I was the only one this happened to. In exchange for the double cart they took away the inner art and left an ugly white “nothingness” instead. P.D. : I really dislike when a game comes without inner art. I once bought super Mario 64 and there was a bag of magic mushrooms in the box instead of the cartridge. Do I win another prize? Packing errors happens with everything from electronics to toys, to furniture. There's actually a subset of collectors who go for this type of thing (with toys, anyway. And in those cases, still sealed). It is curious if there's anything on that cart, though. @subpopz yeah they should sell it on eBay, someone would pay £200 for it! I bet it has half-life 3 on it! @SetupDisk Yes, guess I should've finished the story lol. It was late. It's obviously a cart of the top-secret Civilization VI 1/2 DLC. That must be where the rest of the DLCs went. Theses days Devs only give us half the game at release. Now they only give you half the cartridge as well. The other half comes in 4-6 weeks when you purchase the season pass. I've opened my Splatoon 2 card since it stopped working and rattling. There's that green PCB thing so I guess that CIV VI won't work. This half-cartridge nonsense has gone too far! It was to avoid the Switch tax. i once found out their was no game inside the box of a "sealed" sega dreamcast game. had alot of trouble back in the gamestore to get it switched, i got almost into a fight at the counter. Must be the Trump version, because that man is so divisive he splits everything in half ahahahaha!! It's part of a buy-one-get-half Civilization VI physical special edition game card sale. It's only available in extremely limited quantities, though. Is anyone else suspicious that this happened at the same time that the Labo VR is launching, and someone gets this mysterious unlabelled cartridge with no top so when they put it in their switch and switch it on they will get sucked into a world of virtual reality where they have to fight the neon lasers to escape but perhaps it's the real world?? It's Civilization III, but you have to build the other half of the cartridge to make it become Civilization VI. Actually, my BOTW cartridge does have something rattling inside. I will check it out and post later. @ChickenTender Okay, just opened the cartridge up and there is no extra chip inside. The chip must of just been loose. @LegendofCreed I am weird error. I've heard of developers shipping half-finished games, but this is a little ridiculous. I bought a PC game in 2008 that came with two copies of Disc 2, and a sealed copy of Bioshock Infinite with a blank CD-R instead of a game disc inside. @ReshiramZekrom You are wrong. That part doesn't contain any rom, it just contain the connectors. Also, if someone tries to put it into a Switch, it will probably get stuck. @Agriculture Yup. 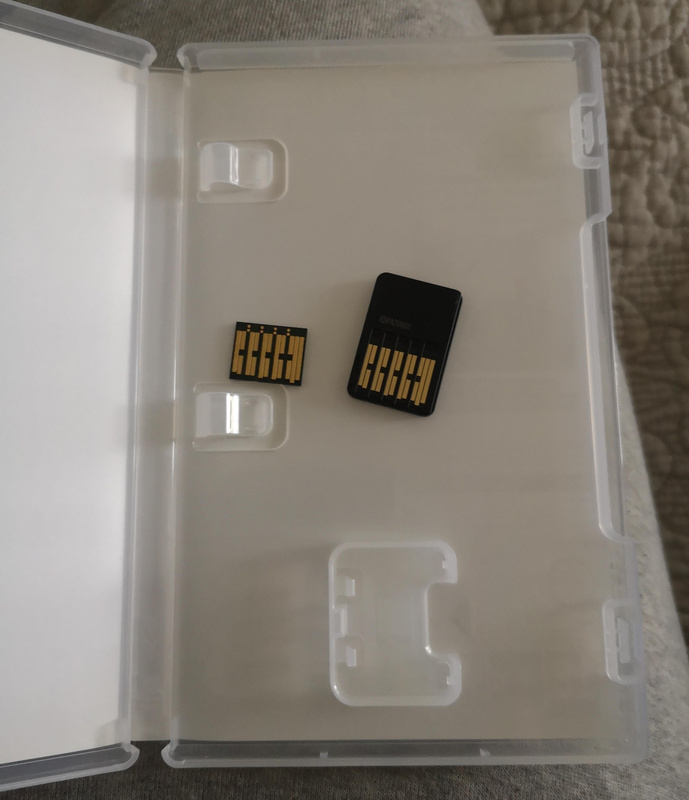 The actual game is stored on a chip inside the cartridge, this piece just provides the connection between the cartridge and the console. Clearly it's not common knowledge though as even the guy who wrote the article doesn't seem to realize that. Their cake will read “Chip loves Case” or vice versa. It’s a Nintendo wedding begging to be written about. This is the chip. Depending on the storage size of the cartridge it will have a different size PCBA and different chip. @MadCow74 Cool, didn't know there was more than one kind of chip that goes inside Switch carts. That's what I get for acting like I know more than I actually do. Probably did it himself to some crappy game just to get internet attention. @JohnQuixote the expression you used. Its "stop the presses". Sorry I wasnt more clear. @PhilKenSebben Although it’s not important, are you sure that’s not an American thing? A very lazy internet search informs me that the phrase "stop the press" has been used over the past couple of hundred years by notable scholars such as Isaac D'Israeli and Thomas Hearne. And if you're not interested in notable intellectuals I instead refer you to the Joker meets Vicki Vale in the 1989 classic Batman. @JohnQuixote Lol. Maybe it is an American thing? Im too lazy to embark on such a journey as you have (though my brain will eventually force me to do so), and its been "presses" on this side of the pond, since the '70s. Newspapers and all that. I also now wonder if youre pulling an elaborate counter troll though. Having me go look up the origins of the term, and your examples. Only to look up and proclaim you the winner. Also, to curse your name. Damn you. Damn me as well. I take my share of the responsibility for starting this. I didnt set out to be rude, or debate phrases. Merely correct someone in a low key way, as I myself have misused phrases before. Yet, here we are. Somewhat reminds me of when I ordered Tokyo Ghoul boxed set was supposed to include dvd and blu-ray versions in 2 boxes, instead I got 2 boxes both with Blu-ray version. I'm sure someone out there likely ended up with 2 dvd sets. Luckily I have a blu-ray player! The duplicate half cart definitely looks like another copy of the game based on the pins. The rest of the cartridge will be available via a Day-1 patch. I have returned from the future. Everything is ok people, go about your lives in peace!